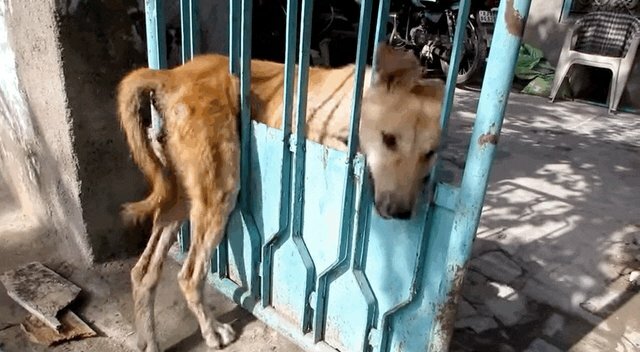 It's hard to say how long this sweet stray dog was trapped in a metal gate before rescuers finally came to her aid, but she must have been terrified - stuck, alone and unable to get help for herself. 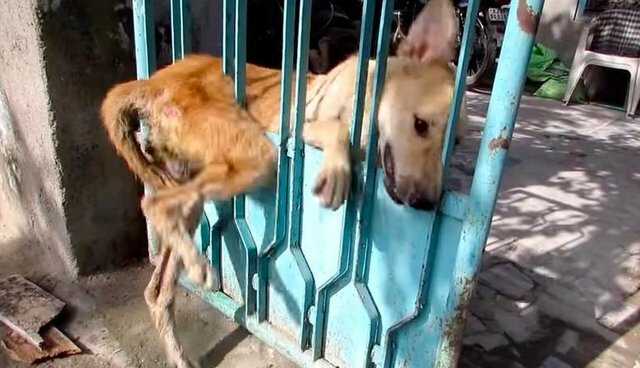 Animal Aid Unlimited, a rescue in Udaipur, India, posted a video of the desperate dog. While the neighbors heard her cries, they were scared of dogs and didn't try to free her. Rescuers from Animal Aid showed up and calmed her down, gaining her trust before they tried to lift her out of her tight situation. Maybe she sensed that they were there to help her, because she let herself be stroked and petted. Then the Animal Aid rescuers gently lifted the struggling dog out of her predicament, all the while whispering to her and caressing her head. Animal Aid took her back to the shelter, where she recovered and was spayed. 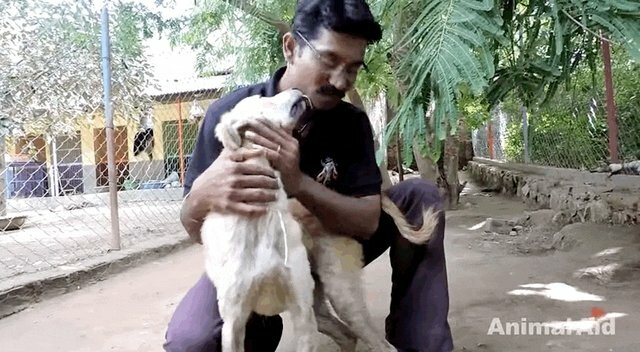 Sadly, because of the huge numbers of stray dogs who live on the streets in India, it's not feasible for the rescue to find homes for every animal it saves. This pup will most likely be released back out onto the streets. But at least she now knows that if she ever needs help again, there are kind humans around who will give it to her. To donate to Animal Aid Unlimited's lifesaving efforts, click here.